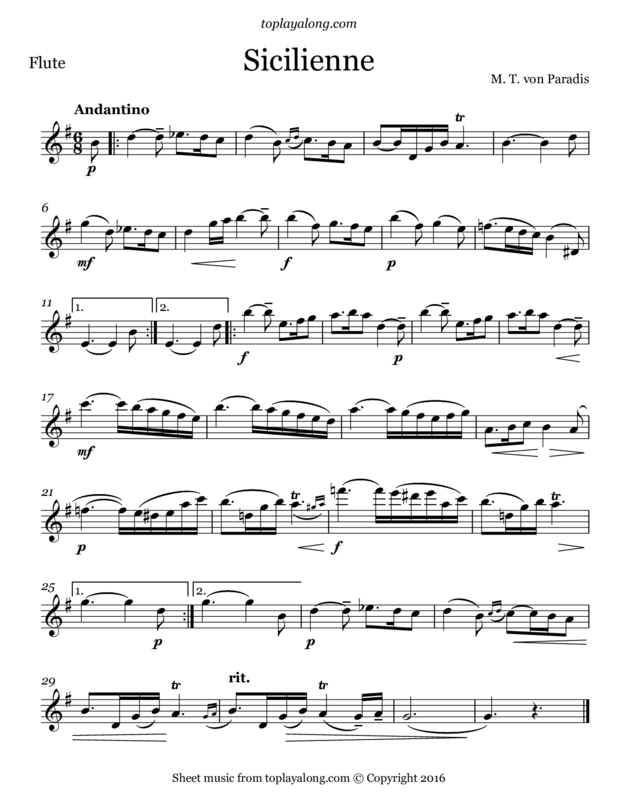 The Sicilienne in E flat major for piano quartet, Paradis most famous work, is unfortunately spurious, as it is derived from a Carl Maria von Weber violin sonata (Op. 10 No. 1) and is believed to have been concocted by its purported discoverer, Samuel Dushkin. Austrian musician and composer who lost her sight at an early age, and for whom Mozart may have written his Piano Concerto No. 18 in B flat major.